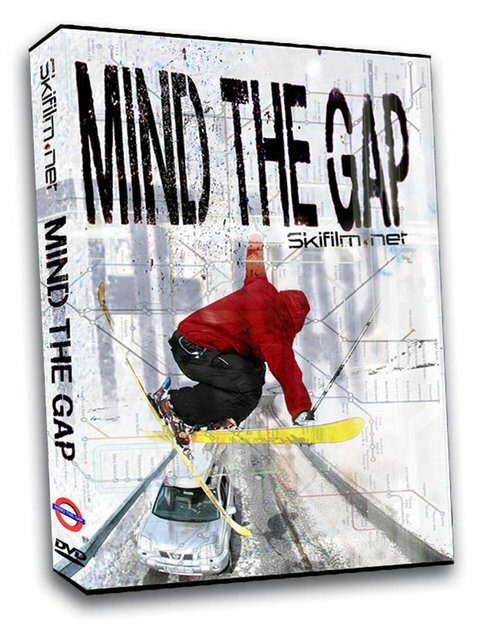 Skifilm.net debuts new film "Mind the Gap"! OverviewThe crew at skifilm.net have now completed their much anticipated 2006 film: “Mind The Gap”. Filmed in high quality high definition video in Europe and the USA, “Mind The Gap” brings some of the biggest names in freeski to the screen in 45 minutes of rapid adrenalin action. Big names include Simon Dumont, Jon Olsson, Candide Thovex, Andreas Håtveit, Charles Gagnier, Peter Olenick and Sammy Carlson. Freeski filming taken to a higher level“Mind The Gap” shows freesking filming at it’s highest level yet including the most spectacular follow-cam filming seen anywhere, prompting Johnny Decesare of Poorboyz Productions to describe the filming as “the sickest stuff around”. With the feeling of gliding through the air, skifilm.net.capture Charles Gagnier as he does a huge 900 tail grab at Breckenridge while Candide lives up to his big air reputation doing an amazing fakie 720 to rail. Jon Olsson does his new kangaroo flip and Andreas Hatveit does a 270 on to an incredibly long 2 step street rail. JF Houle does an amazing 70m bio 9 mute while Grete Eliasson and Michelle Parker lay down for the girls and Sweden’s 14 year old new comer Henrik Harlaut shows his emerging talent. Andreas Håtveit , after last year’s record high trick at June mountain, again provides a spectacular doing 900 mutes on an incredible 35m gap from an 8m kicker while the camera crew follow him right across the 35m gap, up close, in one of the most amazing ski film shots ever seen.Special Value Bonus SectionThe “Mind The Gap” DVD includes all the men and women’s slopestyle and halfpipe X-Games and US Open footage, shot from 3 camera angles in high definition video. This bonus footage is excellent value for money as the “Mind The Gap” DVD is the only place fans can find full professional footage of X-Games and US Open outside of the event’s official purchase channels. Practical Info: Length: 45 minutes Riders: Simon Dumont, Jon Olsson, Candide Thovex, Andreas Håtveit, Charles Gagnier, TJ Schiller, Sammy Carlson, Michelle Parker, Peter Olenick, JF Houle, Grete Eliasson, Henrik Harlaut Locations: USA, Canada, France, Austria, Norway, Sweden. Produced by: John Spelman and Jon Håtveit Director: Jon Håtveit Skifilm.net run by: John Spelman Sponsors: phone for info Release date: 10 October 2006 (order details on http://www.skifilm.net); trailer is out from 4. September at http://www.skifilm.net Director Profile Jon Håtveit is 25 years old and began filming ski when he was aged 10. His first film, a short called Second Attempt, made him a well known name in Norway and led on to his first full film “Independence” in 2004. In 2005 skifilm.net’s second big film “Strike” became Europe’s biggest selling ski movie of the 2005/06 season and became a cult movie among the pro skiers. Skifilm.net Skifilm.net based in Norway was set up in 2002 as a freeski video streaming stie and provides short high quality video clips of freeski during the season free to the public. Using incredibly fast servers, surfers with broadband can see quality clips on the net with out long waits for downloads or grainy picture quality. Well connected with the pro riders, the skifilm.net camera crew travel around the world during the season filming and produce an annual DVD from the collated footage. Skifilm.net works in partnership with Poorboyz Productions acting as Poorboyz’s local European filmers.